The brazen smash-and-grab heist occurred right outside of the federal building on Clay Street in downtown. 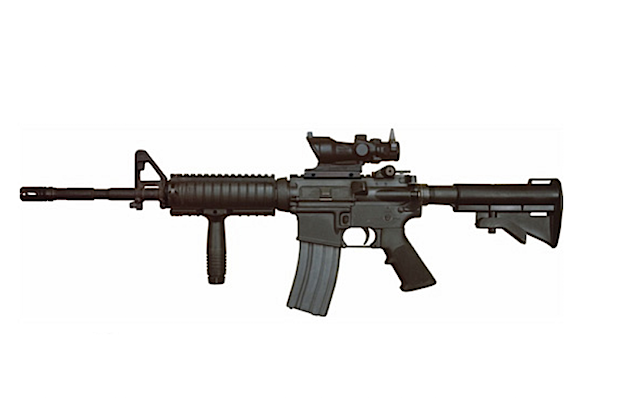 A Colt M4 rifle similar to the model stolen from an ATF agent's vehicle in Oakland on Tuesday. A federal Bureau of Alcohol, Tobacco, Firearms, and Explosives vehicle was broken into on Tuesday evening in Oakland resulting in the theft of a fully automatic rifle and other weapons and equipment, the Express has learned. The ATF confirmed the burglary today but would not disclose details. "ATF is aware of the theft and is aggressively pursuing all leads and working closely with our local partners to quickly find the individuals responsible and return the property," Ginger Colbrun, a spokesperson for ATF wrote in an email. "This is an ongoing active investigation and we cannot provide further details." ATF did not respond to questions about whether the firearms were stored improperly or left unsecured by its agents. Glock pistol magazines containing 9mm ammunition. Firearms lost by or stolen from law enforcement officers is a persistent problem in the Bay Area, and the weapons sometimes end up being used in the commission of high-profile crimes, including homicides. 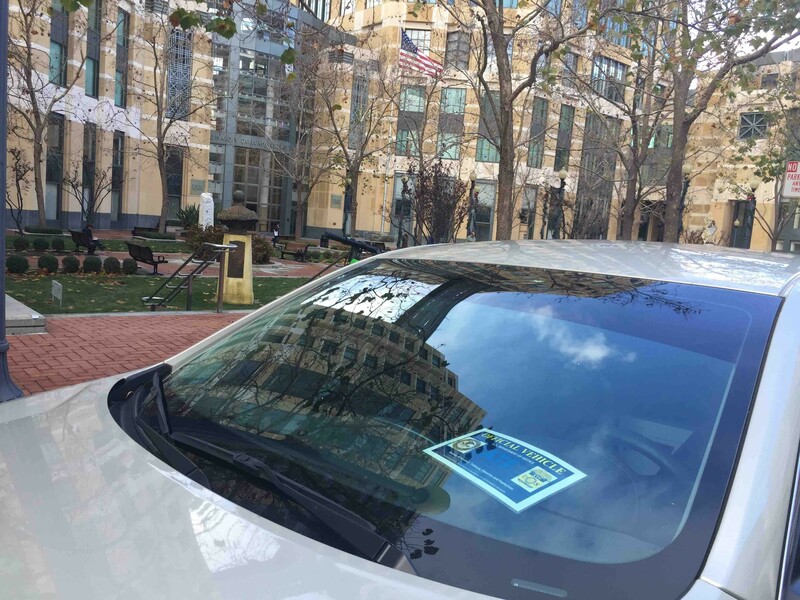 An ATF vehicle parked outside the federal building in Oakland today. In 2015, Kathryn Steinle was killed by Jose Ines Garcia Zarate after Zarate accidentally discharged a pistol on Pier 14 in San Francisco. The pistol belonged to a federal Bureau of Land Management ranger and was stolen from his personal car. The gun used to kill 27-year-old muralist Antonio Ramos in North Oakland in 2015 was stolen from an ICE agent's car in San Francisco. A 2016 investigation East Bay Times reporter Thomas Peele found 944 lost, stolen, or otherwise unaccounted for law enforcement guns in the Bay Area over a recent six-year period. Peele found that the majority were pistols and revolvers and that very few rifles go missing. In response to crimes committed with the stolen guns of police, Oakland Councilmember Rebecca Kaplan and City Attorney Barbara Parker sponsored legislation in 2015 requiring Oakland police officers and private citizens to lock up firearms kept in parked cars. The law doesn't apply to federal law enforcement agents, however. It's unclear why the ATF agent(s) responsible for the weapons stolen on Tuesday didn't remove the firearms from the car or park the car in a secure area such as the federal building's underground garage.